The primary reason for becoming vExpert certainly should not be related to any possible benefits of the program. And once confirmed you have to think more about what you can give rather to what is to be expected. But I’d be a hypocrite to deny that there are also practical advantages in being a vExpert! Unofficially, there are, sometimes, also the access to VMware beta programs or other companies products and/or specific meeting with new company. Note that VMworld pass has also become a benefit from this program, but only for few people (usually 50 for the VMworld US and 35 for the VMworld EU). Blogger pass applications for 2017 has not be open yet. And there are also a lot of other benefits (this was the 2016 related list) by third part companies (or also individuals). Considering that this year there are 1464 vExperts (probably too much for a program like this) don’t expect gadgets, unless you are attenting at the VMworld (during this event there are some extra benefit for vExperts). Historically TrainSignal gave the access to a lot of materials. Some years ago it was acquired by Pluralsight and the available material has increased! In my opinion it is the most valuable benefit for each vExpert (but also MVP and other similar programs). on the latest technologies including topics ranging from virtualizationand security, to SQL Server and .NET. Just fill out the online form. The renewal is quite fast, a new activation may require a couple of day. Ravello offert a free service for 2015-2016 vExperts, enabling all vExperts with 1,000 free CPU hours per month to run VMware ESXi labs or VMware workloads in AWS or Google cloud. For more information about Ravello virtual lab see this post. Starting from this year, Veeam is providing a NFR license for one year also for Veeam Backup for Microsoft Office 365. The NFR licenses are available for non-production use only, including educational, lab testing, evaluation, training, and demonstration purposes. This offer ends on March 31, 2017. Note that there is also a generic offer (not limited to vExpert) to try the NAKIVO Backup & Replication v7 beta. Altaro would like to offer you an NFR key of Altaro VM Backup (unlimited edition) valued at €520 at no cost to you, to back up your Hyper-V or VMware virtual machines. AOMEI provide backup and restore solutions, and interesting tools to manage disk partitions. 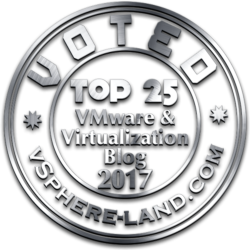 AOMEI acknowledges that Microsoft MVPs, MCPs, MCTS as well as VMware vExperts, VMware Certified Professionals, VMware Certified Instructors, VMUG members, etc provide resources and guidance to the community. AOMEI is glad to reward that contribution with free, NFR licensesof their products to above people. Not sure if is still valid also for this year, but just try. Co-founder, CEO and vExpert Stan Markov @sferk of Runecast Solutions is offering vExperts a NFR license of Runecast Analyzer. 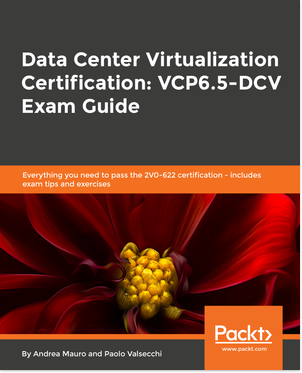 You can now find the details in the vExpert Freebies doc put together by vExpert Chris Nakagaki @Zsoldier over at https://communities.vmware.com/docs/DOC-27494. This was for 2016, but has been confirmed also for 2017! Exclusively for the VMware vExpert, VCDX, VCI and VMUG leaders there is a Free NFR license (1 year) for DataGravity for Virtualization. 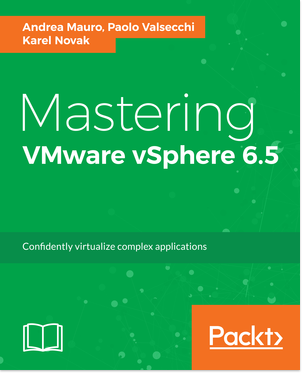 The Non-definitive guide to the VMware vExpert Program, Tips, Tricks, How to become a vExpert!